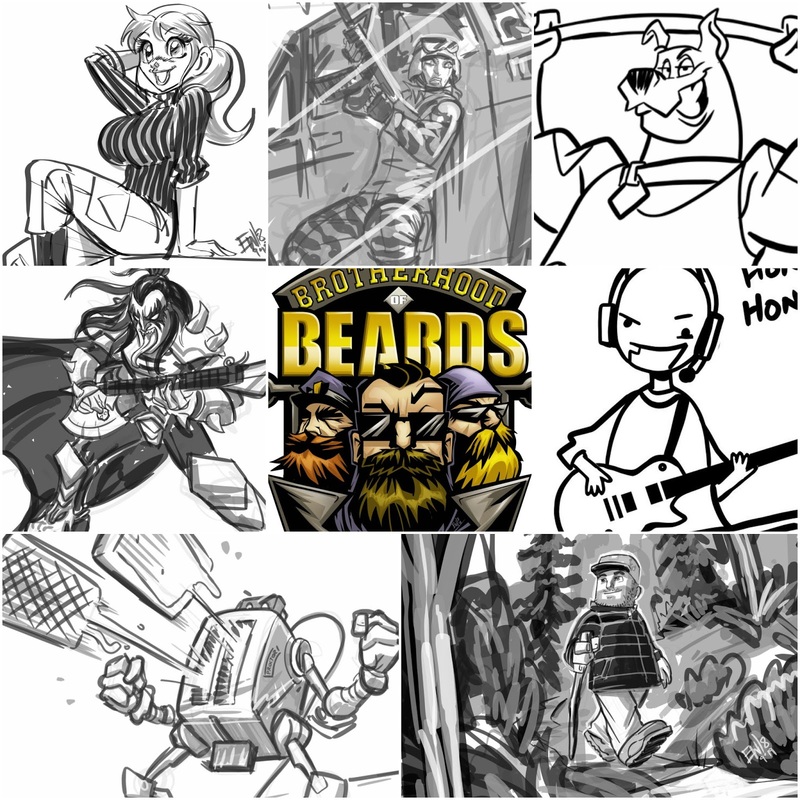 Below are the rest of this week's drawing requests, ink requests and color requests we got done or in progress! See you guys Monday for more! Above are the drawings, inks and colors from Tuesday 9/18! 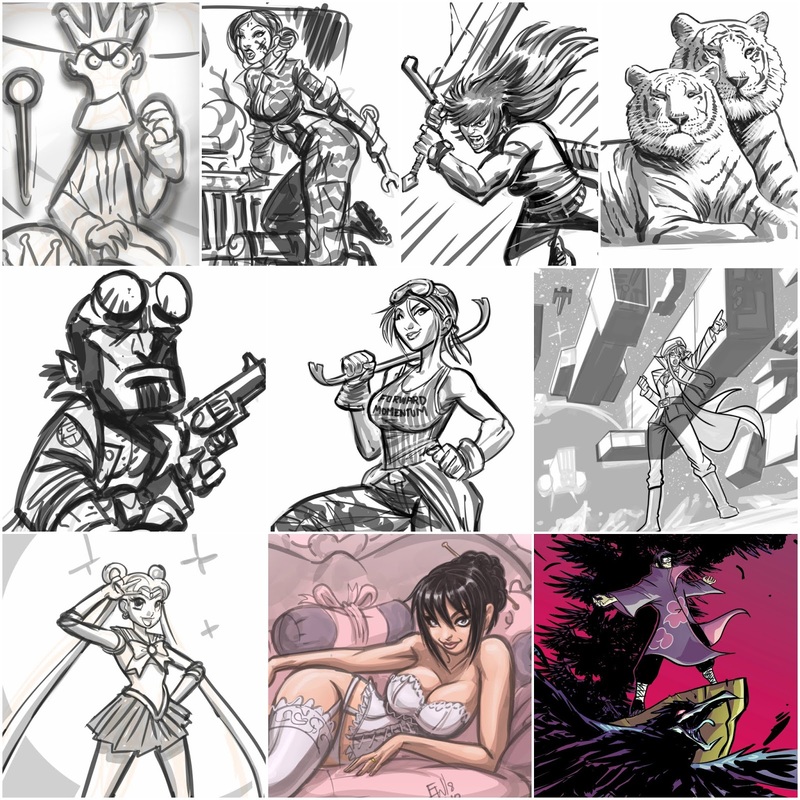 Above are the drawings, inks and colors from Wednesday 9/19! 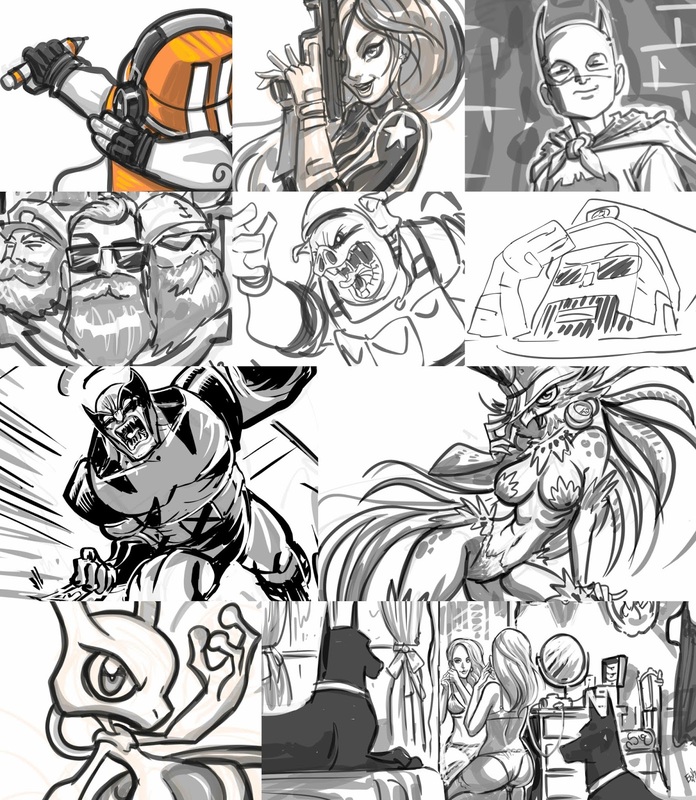 Above are the drawings, inks and colors from Thursday 9/20! 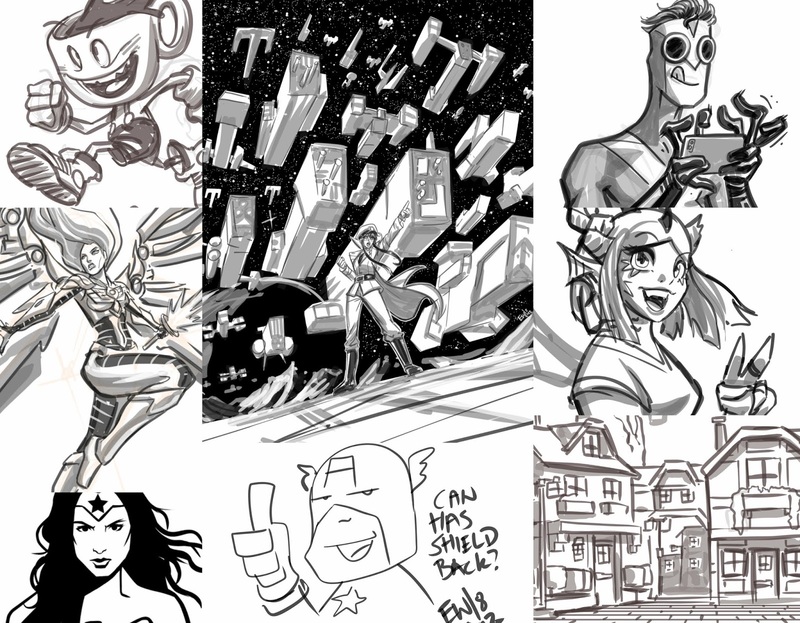 Above are the drawings, inks and colors from Thursday 9/21! Thank you for the overwhelming support and encouragement from the trEW crEW members!! Big ups to Top 3 Supporters of the week: Request King ( Top D ) TheDorkKnightz, Request Champ (2nd Biggest D ) KingKoningTiger and the Request Boss ( Biggest Bit Cheerer ) Epelesker! This new format was very well received and worked well in every aspect. It will take a little fine tuning here and there but I dont foresee any changes in the near future. See you guys Monday to pick up where we left off on Friday - and I'll be working hard this weekend to get Best Of Request Vol. 2 out to the printer! See you next week for more live drawing action! Only on twitch! Those effected by hurricane florence and the storms to follow are in our thoughts this morning. Here is hoping the worst is over. Stay safe. As of this post, all art sent/ masterlist updated for the weekend! Check those whispers! I bundled the last two days of my 3 day week into this recap. 9/3 was labor day and I took a long weekend and 9/7 was off for appointment errands. Above is the upgrades and drawings done on 9/5/2018! This is also the first week not using the gratitude wheel/ gratitude time anymore. It allowed for an increase in productivity and getting to more requests. Thanking folks with the drawings they're itching for instead of other silly means. Above is the upgrades and drawings done on 9/6/2018! 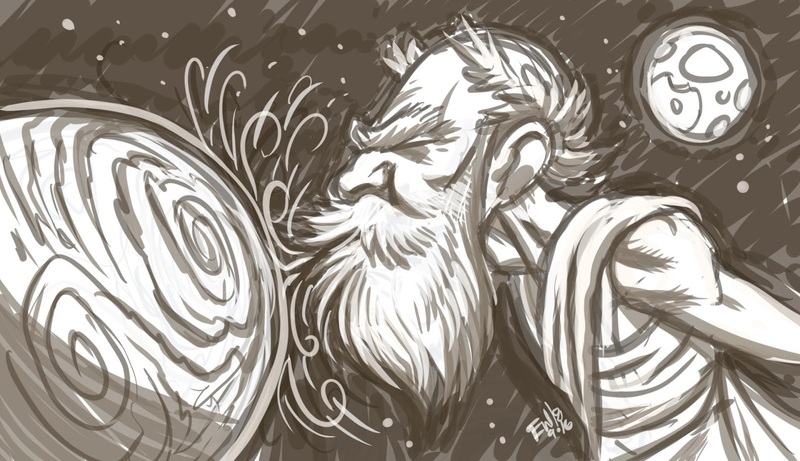 The marathon of gratitude-time-less drawings continues, also with new tweaks to the brush settings and trying out different nibs in the wacom stylus for fun effects and new possibilities. Above is the the only artwork I got done on 9/10/2018 - I had a super fun birthday weekend and visiting with my sister but was up too late and was out in the cold rain a little too much so I was under the weather on Monday. I switched to playing games for my normal stream time and had fun goofing around and gaming with viewers. Disgusted with the unprofessional stream on Monday, I rested up hard that day after the impromptu game stream and fueled up. 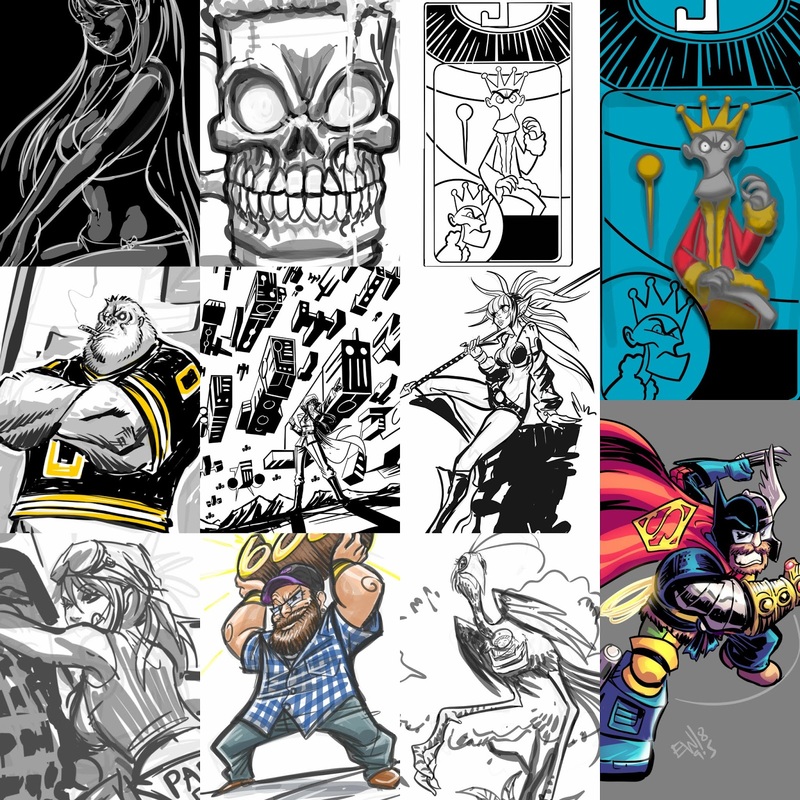 After a solid nights sleep I hit the ground running on Tuesday 9/11 and drew some of my favorite drawings yet this month! While I try to provide escapism for viewers from the usual observances and tragedies that the media will bombard us with to no end, I did enjoy the moment of doing a 9/11 tribute piece ( shown bottom middle ) and learned about all the amazing people who have and are serving that hangout in my chat. Thank you so much all for all you do for this country and people like me! 9/12 was supposed to have a power outage early morning and stream that afternoon. The local power company is doing maintenance in our neighborhood. 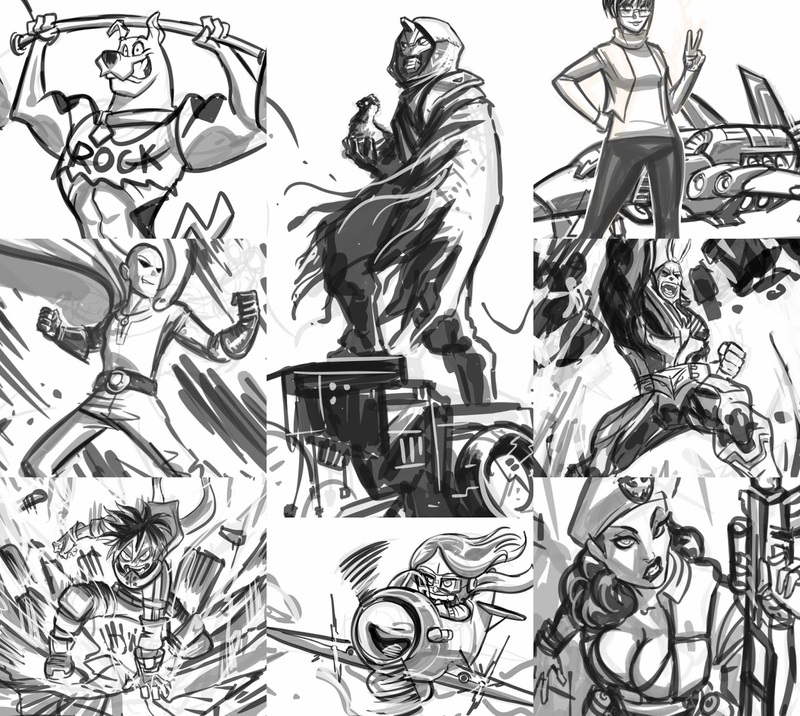 Low and behold, they didn't turn the power off at the announced time in the morning so I fired up the stream at normal time and streamed and did some drawing requests anyways! Unexpectedly the power was suddenly turned off at 200pm and that was the end of the stream and day. A handy power supply that I had the forethought to hook up when i caught wind of the power companies doing work around here saved the last drawing i was working on when the power went off in the middle of it. So i saved really quick and shut down safely much to the relief of the client. 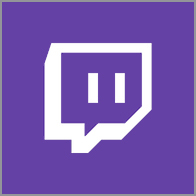 9/13 - fairly disappointed in the lack of performance on monday, and the power outage mishap on wednesday, and coupled with the fact that thursday 9/13 was the 1 year anniversary of being a Twitch Affiliate, I did a 10am-5pm request stream. 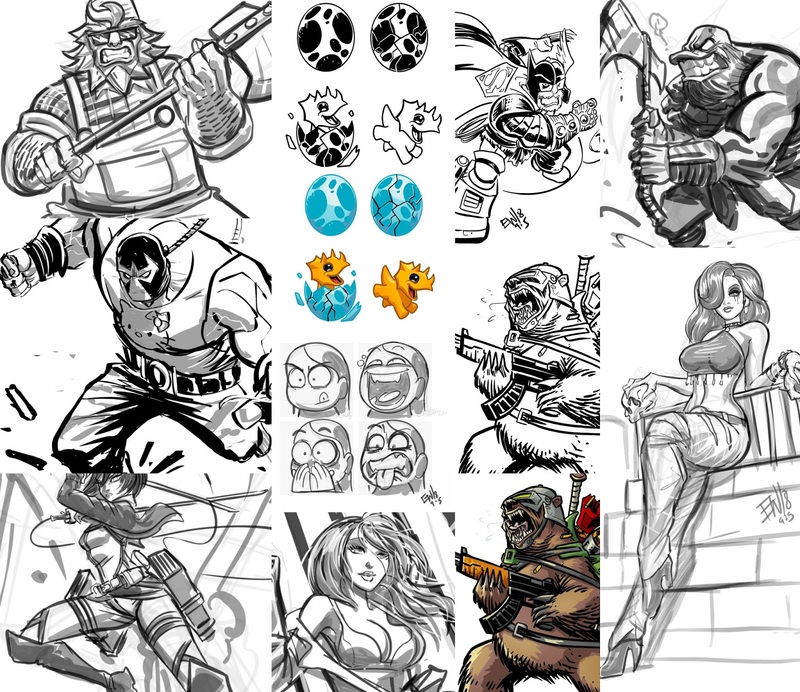 We had some fun giveaways and other fun events get unlocked and also drew some fun drawings. I did a sub-only giveaway every hour for those who have made being affiliate so great. 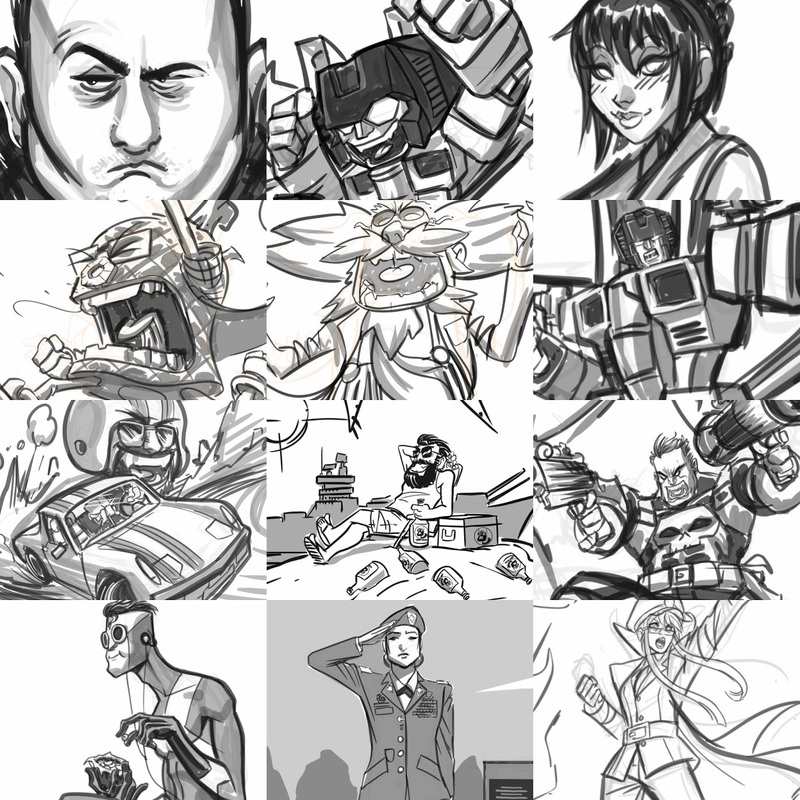 I also had a lot of fun with so many of these requests that I put a lot of extra time into most of them. But we ended up with 13 solid drawings by the end of the day. It also didn't help that there was about an hour lost when Twitch servers experienced a black out. 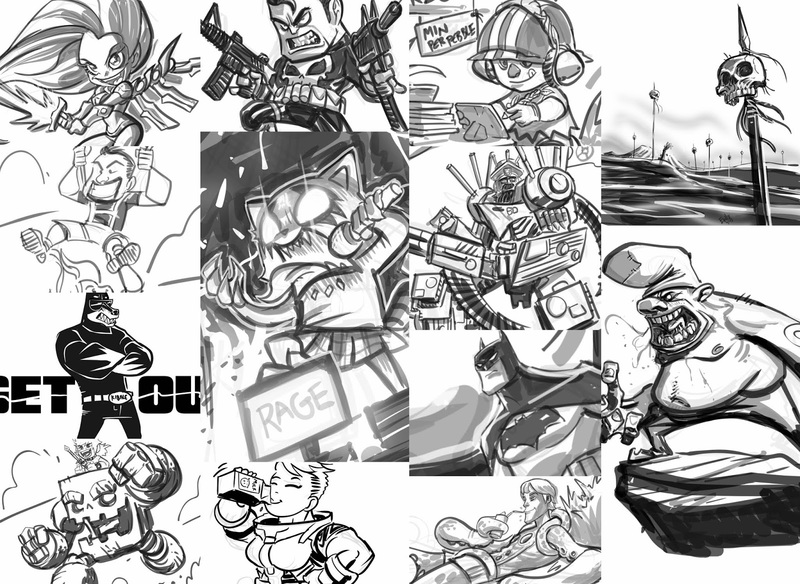 I kept the stream running and worked on my chibi backlog with that punisher chibi at top till folks were able to come back. We ended the week on a high note with the awesome drawing requests above. Announced today is the discontinuation of giving drawing credit to folks who sub. This will be replaced though by daily giveaways for subs-only to join the other sub-only drawing requests perks like direct-ink-sketches, custom canvas colors and your choice of different brush types. Got new emotes coming and new merch items coming. Plus plans in the works for new subscriber CREW goodies and stream fun. Look for weekly stream clips to be uploaded to EW YouTube, theres two new ones this week. Look for stream recaps to continue on a weekly basis after every week is complete. 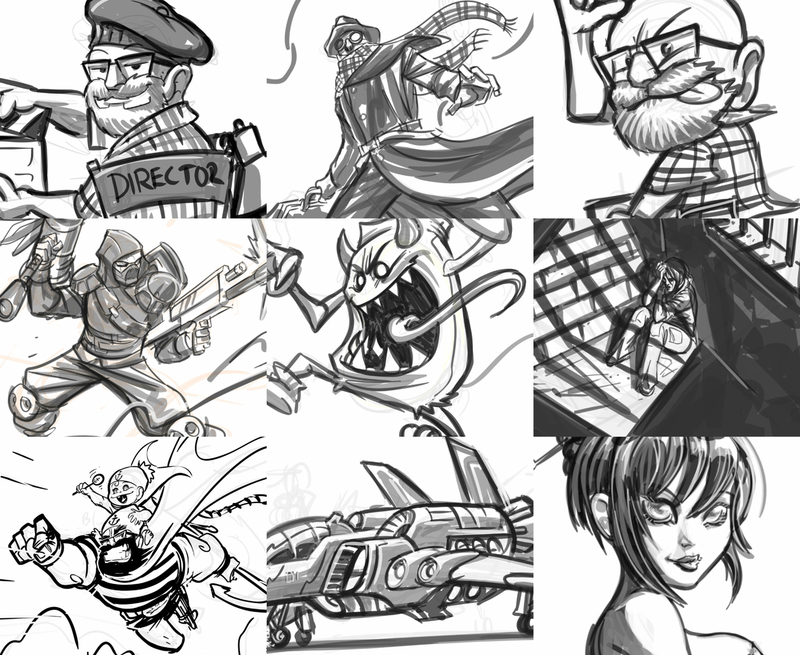 And see you at the next stream, same drawing time, same drawing channel! As of this post, all art sent! Check those whispers. Masterlist updated as well. Today was the beginning of a straight short week. I was off Monday just for some extra time off, then today I started the stream 2 hours later cause I had to run an errand this morning. Then I'm only doing Drawing Request Show Wednesday and Thursday at 10amET. Friday I'm off again to take Kristina into the city for some medical checkupness. Today was the first day of the new direction without the Gratitude wheel. I didnt have what I wanted done with the Giveaway and Game Of Fate wheels yet so today I did a different kind of giveaway with raffle only. This evening I got some new scenes built and new Giveaway and Game Of Fate wheels built to use rest of September. Happy to announce 3 new games on the Game Of Fate wheel! 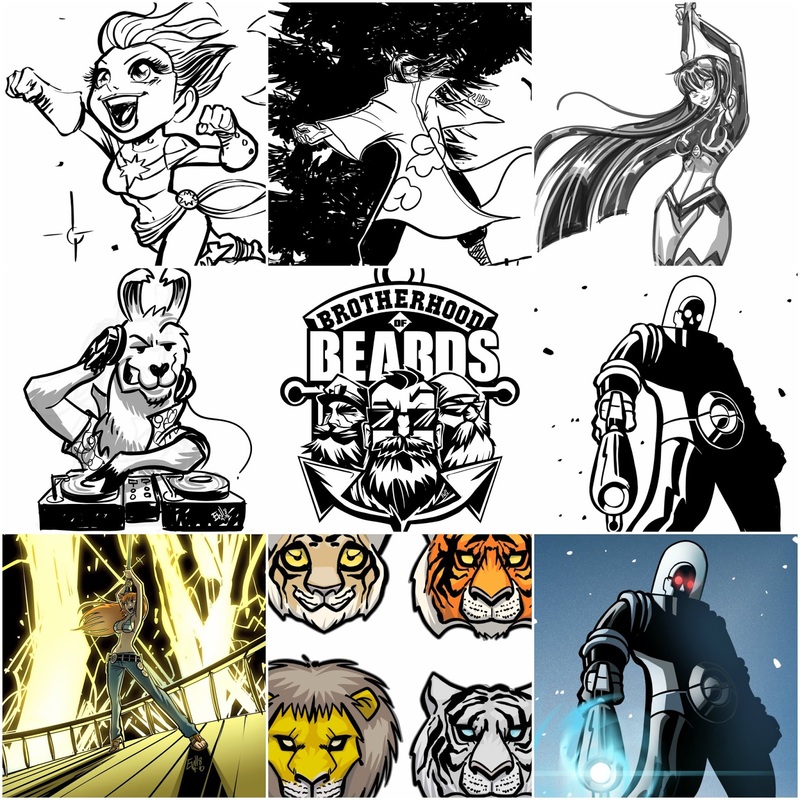 See you guys Wednesday for some more Drawing Request Show action! Only on twitch.tv/eryckwebb!